All prices are listed in Swiss Francs (sFr. / CHF) - Alle Preise sind in Schweizer Franken (sFr. / CHF) angegeben. 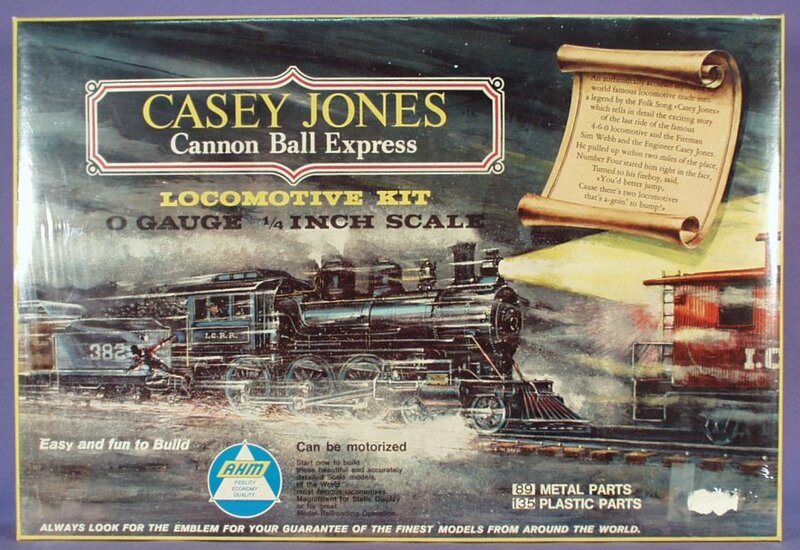 Consignment Brass Models are listed under Models Brass. - Please note: All prices are in Swiss Francs cash! Kommisionsmodelle in Messing finden Sie unter Models Brass. - Bitte beachten: Alle Preise in sFr. (CHF) cash! 3/19 N Plastic Models any / div. 27 x Consignment Diesel/Steam/Cars diff. customers X DIV-N Z-862 no div. 3/18 HO Ath/Atl/Kato/LLP2K div. Diesel Locos, EMD, Alco, 7 Steam 83 x like new NA WTR Y-696 no div. 9/18 HO ATH/ATL/Kato/BLI/LL UP/BNSF/WP 40 Diesel Locos DCC & Sound X X JS ZX-751 no div. 10/18 HO ATH/ATL/BLI/LL div. 40 x Diesel, Steam, Electric Locos w/OB X HH-143 ZX-591 no div. 11/18 HO ATH/ATL/LL/WALT div. 74 x Diesel 13 x Steam new mit Box X HJF Y-966 no div. 2/19 HO AHM/Rivarossi BN/NP 3 x Passenger Trains Sets X JOW Z-759 20% div. 1/19 HO Plastic Models any / div. 160 x Consignment Diesel/Steam/Elec. consignment X DIV-HO Z-758 no div. 3/19 HO Kato/ATH/ATL/Bach div. 60 x Diesel, 2 x Turbine, 6 x Steam all new w/Box X PD-1 ZX-872 no div. 3/17 HO Walthers, & div. different Passenger Cars consignment X DIV-PC ZX-214 no div. 3/19 HO ATH/ATL/IM div. div. 100 x Freight Cars & Cabooses all new w/Box X FC's XF-HO no div. 2/14 Sn3 PBL/PFM/PSC/OMI D&RGW/RGS Steam, MoW, Freight Cars, Caboose ptd. WEA X LF Z-448 50% div. 3/19 On30 Spectrum div. 5 x Steam Locos diff. owners X CC ZX-519 no div. 4/19 O ATL/MTH/Weaver div. 5 x Diesel Locos, 1 x Steam w/Box X diff. ZX-880 no div. 4/19 O Weaver, Walthers different Passenger Cars consignment X XPO XPO-1 no div. 4/19 O ATL/IM/Weaver/diff. 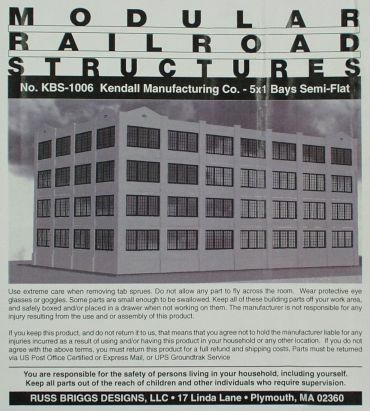 different Freight Cars, Box, Reefers, Hoppers consignment X XFO XFO-1 no div. x DS-500 ZX-411 no div. X Trafo ZX-742 yes div. 9/18 HO Walthers Cornerstone div. Building Kits/Turntable/Transfer Table X X JS ZX-752 no div. X X Z-396 no div. X X ZX-750 no div. X X Y-670 no div. sale = reduced net price, foam = old foam was replaced. x DH-500 Z-171 sold div. 11/13 N LL, Kato, ATL, Spec. div. 7 Diesel, 4 Steam, 1 Electric like new X HJF Y-995 sold div. 11/13 N ATH/KATO/IM/LL SF,GN,UP,RG Trirail Set, Diesel Locos div. 8 x new w/box X KH Z-357 sold div. 6/14 N Atl/Kato/LL/Spectrum any/div. 18 x Diesel & Steam Locos X X SCH-N Z-012 sold div. 1/16 N Kato, Life Like, Bach CB&Q, AT California Zephyr, Amtrak Set X X AD Z-911 sold div. Q Code/No. List PDF Sale sFr. x TE-Locs PDF sold div. x TE-Cars PDF sold div. 11/17 N Kato/ATH/ATL/MTL any / div. 10 x Diesel, 30 X Pass. & Freight Cars X X MLA ZX-551 sold div. Date Scale Manufacturer Description Remarks Code/No. Photo Sale sFr. 11/11 HO Atl/LLP2K/RiRo div. Diesel Locos, EMD, Alco, 1 Steam 9 Pos. like new NA HJF Y-717 sold div. 5/12 HO BLI/Spectrum/LLP2K div. 22 x Diesel, 1 x Electric, 5 x Steam like new X HJF Y-822 sold div. 11/12 HO ATH/ATL/CC/WALT div. 5 x Diesels, 3 x Pass Cars new & used X JPG Y-969 sold div. 11/11 HO Ath/Atl/Kato/LLP2K div. Diesel Locos, EMD, Alco, 5 Steam 24 Pos. NA CO 718 yes sold div. 1/13 HO ATH, BLI, STH, Riro UP, SP, SF div 7 x Diesel 1 x Steam 2 x GTEL Pass. new mit Box X GS Z-013 sold div. 2/14 HO ATL/ATH/Walt/Kato GN/BN/NP/CB 6 x Diesel, 1 x Pass, 2 x Freight new X LS Z-220 sold div. 4/11 HO ATH, WALT 4 div. Diesels SD70MAC, C44-9W, H12-44 F/P, pow/dmy NA HJF yes sold div. 6/11 HO ATH, ATL, Kato + div. 30 div. Dieselloks, div. Roads, 2 Steam like New, mit Box ASR Y-559 sold div. 5/12 HO BLI/Spectrum/LLP2K div. 22 x Diesel, 1 x Electric, 5 x Steam like new X Y-822 yes sold div. 6/14 HO ATH/ATL/Kato etc. GN/BN/BNSF 26 x Diesel Locos no Box, used X MK-02 Z-517 sold div. 3/11 HO ATH/ATL/Kato etc. SF/SP/UP 4 x Diesel Locos no Box, used X MK Y-570 sold div. 6/14 HO Ath/Atl/Kato/LL/Spect. any/div. 85 x Diesel & Steam Locos new original box X WG-500 Z-612 sold div. 2/13 HO ATH/ATL/Kato div. 5 x Steam, 58 x Diesel, Freight Cars new original box X ZU-01 Y-839 sold div. 4/15 HO Atl, ConCor, Walt div. 2 x Diesel, 2 x Freight, 1 x Pass Cars X X TH Z-910 sold div. 2/14 HO ATL/BACH/KATO div. 2 x Steam, 42 x Diesels new X BRO Z-432 sold div. 8/16 HO Atl, Kato, Walt, IHC div. 11 x Locos, Freight & Pass. Cars X X AD Z-808 sold div. 11/16 HO ATH/ATL/Kato div. 48 x Diesel Locos WEA, DCC X RU ZX-195 sold div. 11/15 HO LL Proto/ATH div. 16 x Diesel, 8 x Pass, 25 x Freight new w/box X PW ZX-102 sold div. 3/14 HO AATH/ATL/BLI/LL SF/UP/SP div. 35 x Steam und 25 x Diesel Locos mit/ohne Sound X FM/RM Z-462 sold div. 5/16 HO ATH, Kato, RiRo div. (AT&SF) 25 x Diesel, Steam. Electric used, no Box X RE ZX-220 sold div. 7/17 HO Ath/Atl/Kato/LL etc. any/div. 17 x Diesel & Steam Locos new original box X SCH-HO Z-011 sold div. 1/15 HO ATH, ATL, Kato, LL div. 52 x Diesel Locos new w/Box X SZ-01 Z-827 sold div. 10/16 HO ATH/MTH/PCM/LL SP / AT&SF Diesel, Steam. Pass Collection new mit Box X EVA ZX-198 sold div. 11/11 HO/n3 div. Hersteller HO Built up Models (detailed) & HO/HOn3 Kits 18 Pos. NA AM yes sold div. 7/15 HO ATH/ATL/WALT div. 90 x Freight Cars and Sets X X PBU Z-949 sold div. 3/19 HO Brass / Kadee div. 3 x Logging Car Sets X X RE/WH ZX-890 sold div. 11/18 HO ATH/ATL/ER/IM/WALT div. 400 x Freight Cars original Box X P-001 ZX-801 sold div. 3/14 On30 MMI, BLI, Spectrum C&S, RGS, RG 6 x Locos, 17 x Cars, 4 x Cabooses F/P, new X RM-22 Z-480 sold div. 10/15 On3 Spectrum X Shay, Climax, rebuilt from On30 to On3 X X HH-77 ZX-074 sold div. 8/16 On30 Spectrum div. 2 x Steam, 1 x Railbus, 3 x Freight X X AD Z-912 sold div. 9/15 O Rivarossi div. Steam Locos no Box X HUH-300 Z-982 sold div. 9/15 O Weaver, P&D, MTH div. 14 Diesel Locos, 1 Steam Kit WEA, with Box X SA-01 Z-977 sold div. 10/18 O ATL/IM/RC/MTH div. 4 x Diesels, 24 x Freight Cars Plastic X HH-251 ZX-770 sold div. 11/18 O Sunset/GGD/MTH SP-Daylight E7A/B/A, GS-4, 15-Car Daylight Train 2-Rail X PSI-01 ZX-779 sold div. 11/18 O Weaver, MTH PRR, NYC, NS BP-20 A/B, 10-Car Pass, SD70M-2 2-Rail X PSI-20 ZX-781 sold div. 11/18 O MTH 12 x UP SD70ACe, AC4400CW, Coal Turbine 2-Rail X PSI-07 ZX-780 sold div. 5/13 O GGD, K-Line, Lionel AT&SF, Milw. 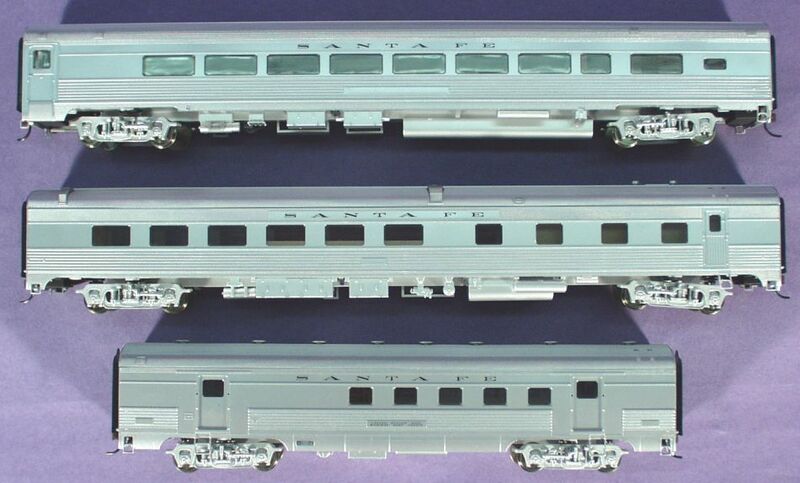 Passenger Cars, 2-Rail 8 pcs. X EWK Z-202 sold div. 6/13 O Lionel/IM/ATL/K-Line div. Freight Cars, 2-Rail 52 pcs. X EWK Z-203 sold div. 10/13 O ATL/Lionel/Weaver div. 28 diverse Freight Cars, 2-Rail new w/Box X ES Z-345 sold div. 3/14 O Rivarossi NYC, IHB 2 x Steam Locos, 2 x Cars used, no box X PH-50 Z-523 sold div. 7/14 O ATL, RC, IM div. 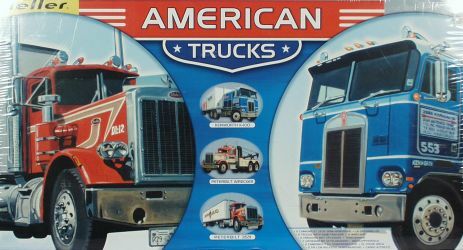 Boxcars, Tankcars, Reefers New, w/Box X UH-21 Z-679 sold div. 10/15 O ATL/IM/Weaver div. 4 x 40' Box Cars F/P, w/Box X HH-85 ZX-080 sold div. 7/15 O div. div. 5 x Caboose, 40 x Freight, 10 x Pass. used, no Box X JMC-13 Z-947 sold div. 8/15 O Weaver/PRB/CMP/div. div. Freight Cars: Box, Refer, Tank, Hopper used, no Box X HW Z-955 sold div. 11/15 O MTH/Weaver/Lionel 2-Rail/3-Rail 20 x Freight Cars F/P, w/Box X PDP Z-925 sold div. 11/16 O Weaver/ATL/IM/MTH div. 5 x Pass. Cars, 12 x Freight Cars with Box X SA-16 Z-978 sold div. 3/17 O ATL/Weaver/div. div. 8 x Freight Cars no Box X MK-83 ZX-426 sold div. 3/17 O div. Milw. / CB&Q 3 x Freight Cars, 10 x Pass Kits X X MD-40 Z-908 sold div. X HUH-201 Z-973 sold div. X MK-101 ZX-498 sold div. 11/11 On3 Scrach Built Engine Shop, Water Tower, - Tank, Coaling Tower Wood, 6 pcs. NA DP 719 yes sold div. NA AM 692 yes sold div. x CH-1500 Z-175 sold div. x HUH-B ZX-451 sold div. x HPS-01 ZX-516 sold div. 11/18 Sn3 OMI/PBL/BM C&S/D&RGW 8 x Locos, 7 x Cars, 20 x Kits X X HPS ZX-785 sold div. 6/14 Fn3/G Bachmann/USA-Trains div. Shay, Goose, SD70MAC new X FRO Z-667 sold div. We are listing hundreds of sold out plastic models with photo pages in N, HO, HOn3, O, On3, G scale. Wir haben hunderte ausverkaufte Plastikmodelle mit Fotoseiten Spur N, HO, HOn3, O, On3, G.
We are listing hundreds of sold out brass models with photo pages in N, HO, HOn3, O, On3 scale. Wir haben hunderte ausverkaufte Messingmodelle mit Fotoseiten Spur N, HO, HOn3, O, On3.